Giveaway dose: Talk... Talk...Talk you are on Opentalk!!! "Kabutar ja ja ja...... Kabutar ja." Well that was the only medium or should I say the fastest medium of communication in the past. It would have been just a dream to have such vast technology that we are living with today. And who would have thought that we would round up the red planet and plan on colonizing on the moon. We suerly have some a long way today and the best part is that we haven't stopped yet for us even sky is not the limit today. Talking about communication and technology, mobiles and computers have played a great role in it. We are connected to our parents, friends and family all over the world today just a few swipes away. But it's not the mobile phone or the computer which does the tricks and we all know that. It's the app or the program running on it plays the charm which makes our life easy. And today I am writing this blog to review such a mind boggling app that has taken the experience and satisfaction of the users to an all new level. 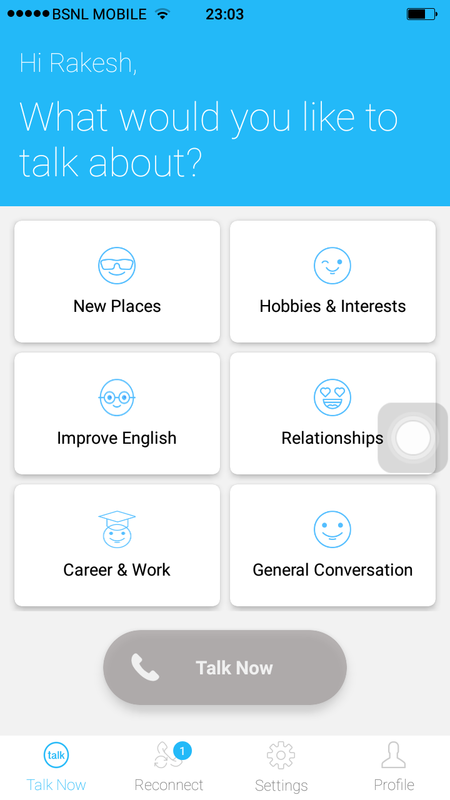 The app I am talking about is non other then "Opentalk app". 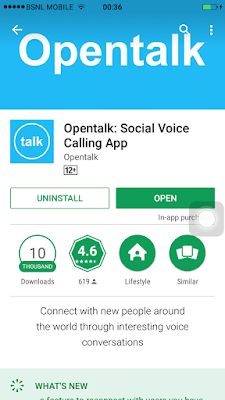 Opentalk app is a social voice calling app that helps you connect people from all round the world and the best part is that you can talk to a complete stranger, make new friend, learn different languages, learn different cultures and do much more fun stuffs on the app. 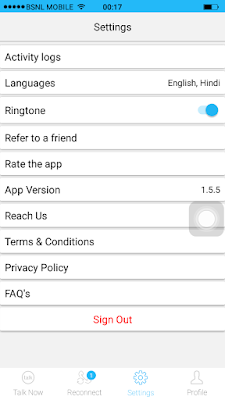 You can download the app from the play store and app store it's free. Once you download the app it asks to sign up using your facebook account. So no tantrums and hassels filling up infos or proving that you are not a bot. Once you log in you can setup your profile and it's too easy. Fill all the information that is asked and choose you own category that suits you best. You can use multiple choices as your preference too. You are all setup just use the talk now tab and you are up for a ride. 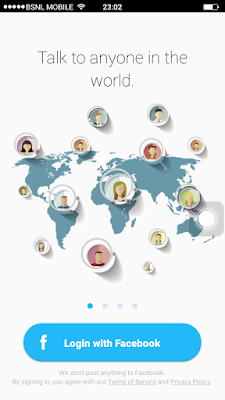 It connects to a random person from round the world who wants to talk or share their thoughts on the same category that you have chosen. 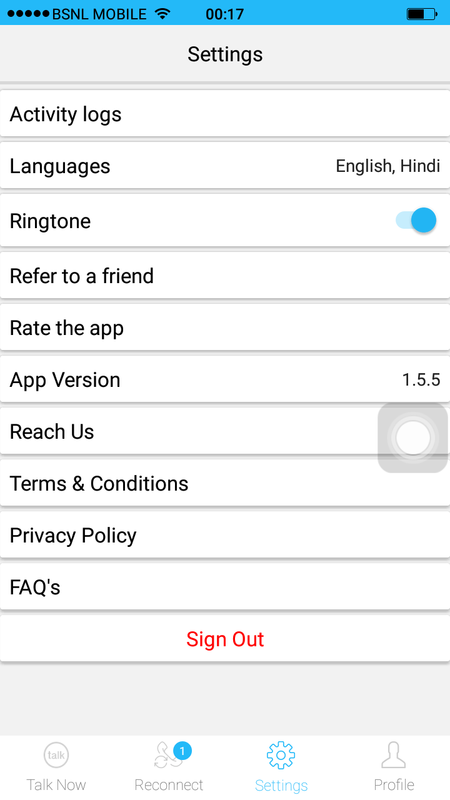 Fell free and talk all you want and it's all free.We can also go to the settings tab and check our activity logs, change languages, turn of or on the ringtone or refer the app to a friend. I have been using the app since quite a time now and believe you me it never lets you feel lonely. You can find someone or the other always willing to talk and have fun. Use the link https://opntlk.app.link/got to download and try the app yourself. Call quality varies according to the net speed and thus sometimes it's hard to make a conversation. May be the app could have been a bit more discreet. Although the developers have done a great job and I really understand it that it's too easy being on the other side of the court and making comments and suggestions but it's really tough to be on the other side of the court and do all the hard work yet here is just a small tip I would like to share. The app can use a video calling feature to make up things more interesting. It was fun using this app and I would recommend my friend to use it too.